The TN799/TN799B C-LAN Interface simplifies the connections between adjunct equipment and DEFINITY. It provides TCP/IP connectivity over Ethernet or PPP (Point to Point Protocol) connections to applications, such as CMS Call Center, INTUITYTM, AUDIX ®, and DCS. The TN799B is required to support the TN802B or TN2302AP IP Interface operating in MedPro mode for H.323 functionality. The TN799/TN799B is also required to support ATM interfaces and WAN PNC on DEFINITY R7 or later. The TN799/TN799B does not support BX.25 connectivity on the R7 or later csi platform. On the other platforms, TN765 Processor Interface and TN577 Packet Gateway circuit packs provide BX.25 connectivity for existing customers as well as TCP/IP service. 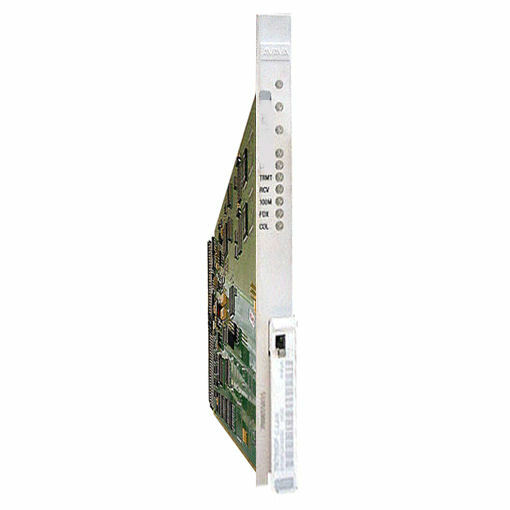 The TN799B C-LAN pack provides connectionless UDP sockets for IP solutions support, variable length PING and Traceroute. The pack will also support 500 remote sockets, while current packs support 220. The TN799 circuit pack is available with R7r, R7si and R7csi and the TN799B C-LAN circuit pack is available with R8r, R8si, and R8csi. The TN799 supports the traceroute and netstat network testing commands starting in R8.